In Congo there is little to no basic infrastructure, which has enormous consequences for healthcare, for example. You can not build a hospital without clean water and electricity. In Congo, energy literally means life. 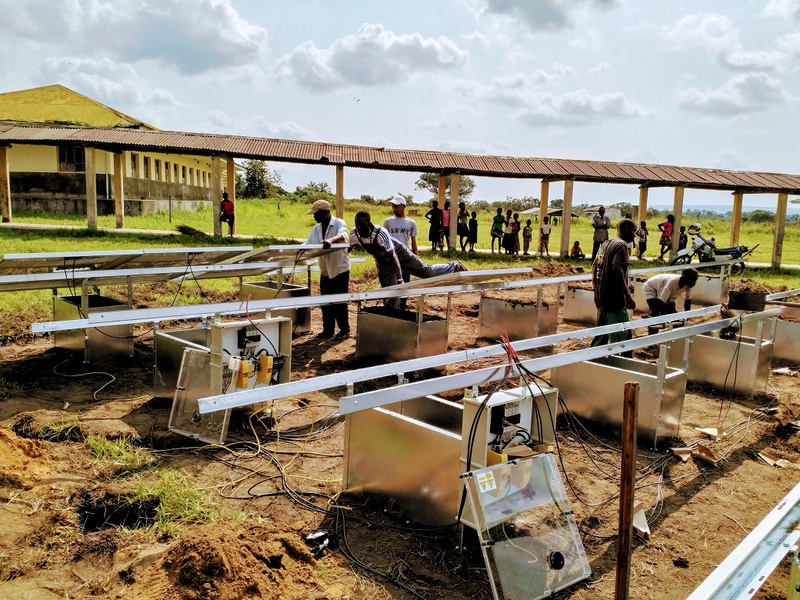 Rik Vereecken, one of the partners of byNubian, regularly goes to Congo to set up energy installations with the support of Medics without Vacation. At the same time, local technicians receive training so that they themselves can take care of maintenance and – if necessary – repair the installation. A large part of the medical equipment in Africa comes from Europe or the US. Usually these are well-intended gifts, but the equipment is often defective or unsuitable. The devices are outdated, spare parts are too expensive or not available, there are no manuals and technicians do not receive training for installation and maintenance. That is why Medics without Vacation developed a golden standard, a material list that supports hospitals and medical NGOs in selecting medical material for the South. In collaboration with the Province of Flemish Brabant, Medics without Vacation started up the Jenga Maarifa project, a training course for medical technicians in South Kivu so that they can maintain and repair the medical equipment themselves. Rik Vereecken from byNubian is happy to provide his expertise and teaches local technicians about setting up and maintaining solar installations and lightning protection. More information about the golden standard here (in Dutch). More information about these missions can be found on this blog (in Dutch).